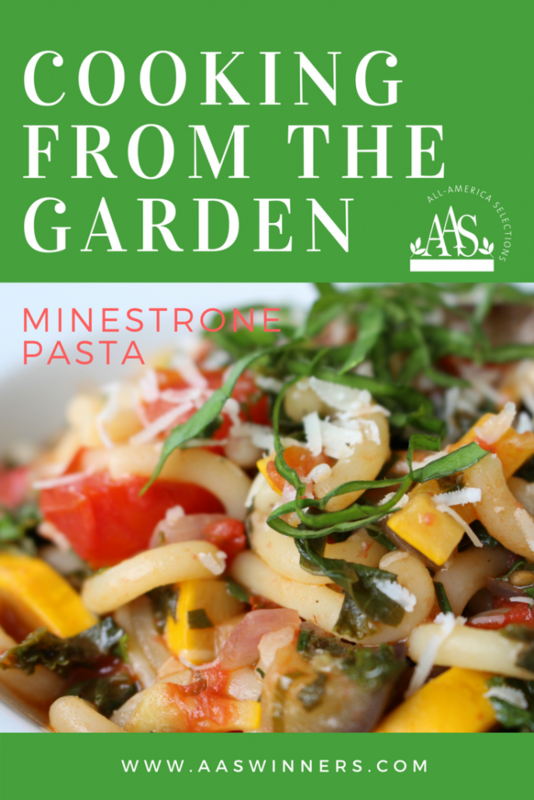 Whether your garden is overflowing at the peak of summer or you’re grabbing a little of everything from a late summer harvest this dish captures your favorite flavors from the summer garden in a one-dish supper! In this video, chef and story-teller Jonathan Bardzik demonstrates how to grow and cook with award-winning All-America Selections winning varieties. A printable recipe card is below. Bring a 6-8 quart pot of water to a boil. Season with 1 tbs salt. Warm 2 tbs olive oil in a 12” skillet over medium heat. Add onion and cook until softened, about 5 minutes. Add garlic and bay leaves, cook 1 minute longer until fragrant. Add Matter Hatter Peppers and cook 2 minutes. Add Seychelles pole beans, Chef’s Choice Yellow tomatoes and Prism kale and cook until softened, about 5 minutes longer. Meanwhile, cook pasta in salted water, until nearly al dente, still a little firm in the middle. Drain, reserving 1 cup of the cooking water. 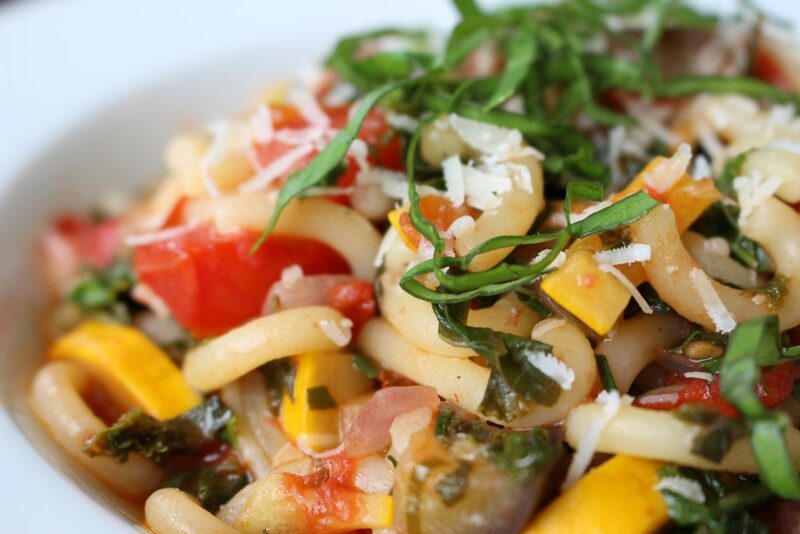 Add pasta and reserved water to vegetables. Toss and cook until water has evaporated. Stir through remaining 1 tbs olive oil, vinegar and basil. Season to taste with salt, pepper, Parmesan and additional oil and vinegar as needed.